Marcus & Millichap (NYSE: MMI), a leading commercial real estate investment services firm with offices throughout the United States and Canada, today announced the sale of Starbucks, a 2,200-square foot net-leased property located in Phoenix, AZ, according to Ryan Sarbinoff, regional manager of the firm’s Phoenix office. 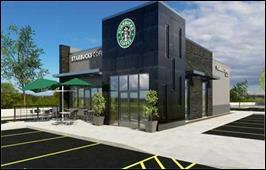 This was the Net Lease Advisory Group’s 25th Starbucks closing in the last 24 months. The asset sold for $2,800,000, bringing the total to nearly $61,000,000 for all 25 properties. Mark Ruble, Jamie Medress, and Chris Lind, investment specialists in Marcus & Millichap’s Phoenix office, had the exclusive listing to market the property on behalf of the seller, a limited liability company. The buyer, a limited liability company, was secured and represented by Zack House, Jamie Medress, and Mark Ruble. Starbucks is located at 4949 E Warner Rd in Phoenix, AZ.